Besides sewing, one thing I enjoy about costuming is doing the research first! I have learned a lot about the different periods in Costume History from research on the Internet and in the piles of books I own. I love to study history and find out what it was like in the past. I really enjoy visiting places where I can imagine what it was like “way back when". Don't ask my family how many castles we have seen! But, they like them, too. I have been enjoying sewing since I was very young. After having fitting problems with the costumes I made up in my head, I took a pattern drafting course. I sometimes use Pattern Master Boutique, (a pattern drafting software) which helps me to design both fun and historical costumes. In order to be able to consolidate my sewing skills even further and to develop even better costumes and custom clothes, I have been working on my City and Guilds in Fashion. I received my Diploma qualification this summer. Now, that I have gained much more confidence about what I know and can do, I thoroughly enjoy creating one off garments and making historically inspired clothing. 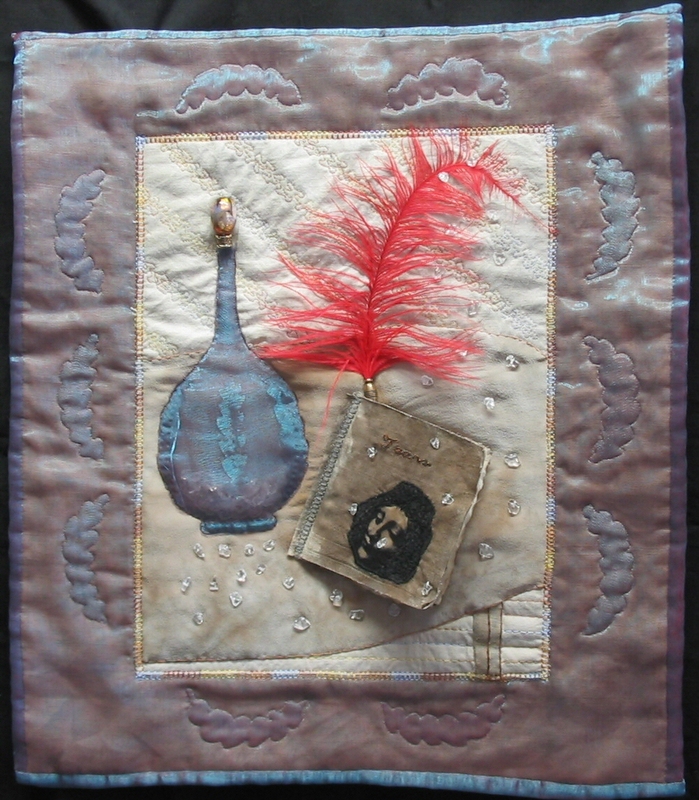 Along the way, I have developed a passion for making textile art. I generally work small, sometimes using the quilt art format to trial techniques that may eventually go into a garment; but at the same time, I can create something that can be enjoyed as a piece of art in its own right.